A good friend offered me a thought she had after reading this book, and it goes like this: “There are times when we want to shield the ones we love from pain. But the only true way to healing is through our pain. It is through our connection to those we have lost that we are able to find a peace in our hearts. It is through our connection that we ultimately find our peace”. I am personally very grateful for her input and openness because it reflects her willingness to embrace her connection and transition through life. It shows her willingness to live a life of emotion, experience, living in the moment, with an openness to change and growth in the midst of personal pain. A close and personal love was taken from her just a short time ago as it will and has happened to all of us. 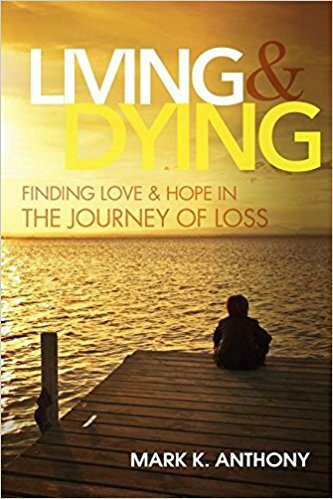 It is apparent that it is a challenge and a difficult transition as we work to understand the perplexity of life and death as we navigate our time, moment to moment, day to day. It is apparent that it is hard to embrace a new normal in forging new relationships while maintaining ones of old. Yet, I am confident that we can and will find a way. I am confident for her because she has acknowledged that the only true way to healing is through her pain. It is this simple truth, as difficult as it may seem at times, that will set all of us free. “Set yourself free from anything that might hinder you in becoming the person you want to be. Free yourself from the uncertainties about your abilities or the worth of your dreams, from the fears that you may not be able to achieve them or that they won’t be what you wanted.